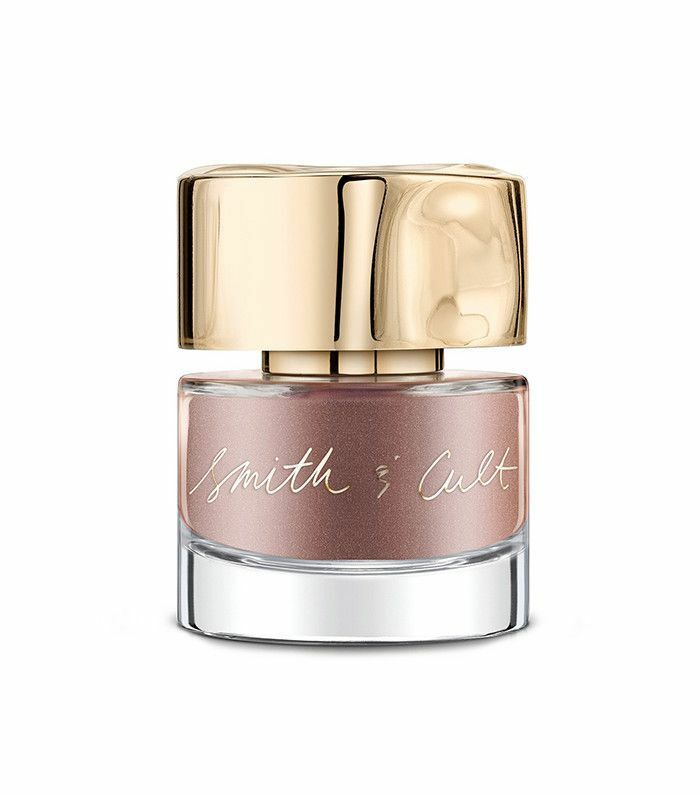 This morning, decadent nail polish brand Smith & Cult announced that its limited-edition, completely sold-out Nailed Lacquer in 1972 was officially back on shelves. Following its initial launch, the opaque rose-gold foil lacquer was an instant hit among nail junkies. In fact, it was the first of the brand's polishes to sell out "in record time." The second the initial release went out of stock, social media flipped and remained in mourning—until today, when Smith & Cult's president and co-founder, Jeanne Chavez, says the brand "swiftly took action to restock 1972." The product became available again this morning. As such, we were just readying our credit cards when disaster struck: The product sold out again, less than eight hours after hitting SmithandCult.com. Selling out of a nail shade so quickly is rare, so it's clear this vintage-inspired pink has struck a cord. "We hit the sweet spot with 1972," Chavez explains. "It glitters beautifully on all skin tones and strikes a fine balance between warm and cool undertones. … It looks divine on everyone." According to the brand, there is a "rose gold rush" happening in the beauty community that is not "slowing down anytime soon." It has not been announced yet whether 1972 will become available again, but you can sign up to be notified on Smith & Cult's website if it does. In the meantime, get a similar look with Essie's Mirror Metallics Nail Polish Collection in Penny Talk ($18), below. What is your ride-or-die nail color? Tell us in the comments below!